Just the other day, I made a little boo-boo that I’m sure every American must have made at one time or another while holding a phone of some kind. And usually, it’s an honest mistake. One that shouldn’t be punished for, unless you are a repeat offender, then by all means, discipline should be administered immediately! No, I’m not talking about drunk dialing, crank calling, psychic hotlines or calling up NASA to ask for rides to space. I’m talking about a specific kind of “wrong number” dialing. One sunny and warm afternoon, I’m making my phone calls that I get paid to make, enjoying the pleasantries of the receptionists, operators or occasional grizzly bears that answer the phone. Hey, I can’t see them, so it could be a polar bear. Either way, they are clever enough to learn English, but not quite that well. Anyway, it was such a great day that I was going through my list of phone calls like tokens given to children at Chuck E. Cheese. Perhaps I was going a little too fast for my own good. When it came to dialing, my fingers looked like a blur. Just wave your hand over the key pad to the nearest phone. It’s like magic. I dial a phone like Mozart plays the piano. Yes, that’s how fast I was. Sure, a wrong number here and there, but not due to my dialing. Oh no. I was too awesome for that. Besides, if I did hit a wrong key, I, with the briskness, hung up and wave across the keypad again. But on this fantastic afternoon, I’m going to say it was an evil crumb from a phantom cake that must’ve fallen on and into the keypad. Specially, the #1 button. If it wasn’t that, perhaps some menacing angry coffee drop from a hastily placed mug fresh from being brewed and painfully sipped (due to the freshly brewed part). Or maybe it was just a ghost. I don’t know, but while dialing a certain New York area code, I somehow managed to dial 1-9-1-1. I may have dialed a few more numbers after that, but as we all know, I “Mozart” the keypad, so it’s difficult to say. I quickly hung up, and began redial. 3.8 nanoseconds later, in the midst of the other call I had just dialed, I see an incoming call with “YOURCITY’S PD!” on the called ID. I’m quite unclear as to whom this is, or why, not even considering the accidental blunder I made. I didn’t even know this caller ID was able to produce exclamation points (!). Since no one had picked up the line I was calling, I quickly jumped over to the new call. To my distress, I quickly learned that the “PD” was for Police Department, and they wanted to know my emergency. I quickly replied that there wasn’t an emergency, but they insisted checking it out anyway. In retrospect, I could see that my pleading for them to not come to my location might sound a bit suspicious, and hey, it’s better for everyone to be safe than sorry. Right? So they ask me my name, what I’m wearing, and where exactly I am located. I comply, nervously. The lady I’m speaking with sounds no-nonsense, much like some of the other people I talk to on a daily basis… but this time she is the one asking the questions. And if I don’t give the right answers, doom will rain upon me. Even if I did give correct answers, I think doom would still approach. And doom did indeed approach–within 16 seconds after hanging up the phone. However, “approach” is too light of a word. Doom stormed within 16 seconds and in the form of four squad cars, an ambulance, a fire engine, an EMT, a news crew, two helicopters (one of them might’ve been part of the news crew), the National Guard with an Army tank on loan and dark ominous clouds which filled the sky. The first cop on the scene flew out of the car and onto my front door, literally landing on it, causing it to break off the hinges and fall onto the floor just before my feet, with him standing on it and looking me eyeball to eyeball. The cop car he flew out of later crashed in a tree and burst into flames. Good thing the fire engine was there. Meanwhile, the officer, who had no idea what “personal space” was, inspected my soul by way of an intense staring contest that felt like it lasted for days. It was really only less than a minute before he began to speak, asking me for identification, birth certificate, SSN, blood type and library card. All of which I was able to pour out of my pocket upon request. Without breaking his stare-down, he collected my credentials and tossed them to his partner behind him, who casually approached from his own car and began talking about the baseball game. The face-officer then asked if anyone else was home. I was thankful he wasn’t shouting due to his proximity. He then left my face, and my personal zone to investigate the house like a banshee. 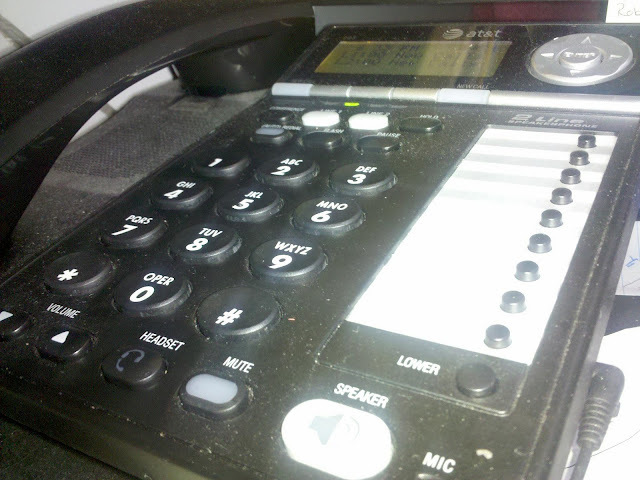 I, for the first time since hanging up the phone, was able to inhale. The baseball cop asked me what happened as he took out his notepad. I explained it was all an accidental misdial and he understood. 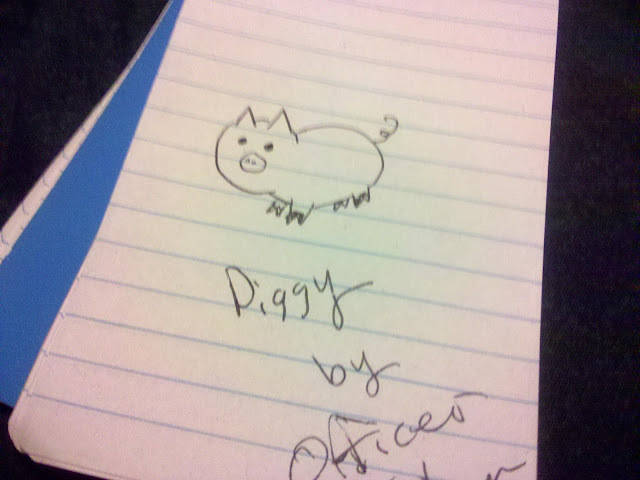 He then showed me the picture he drew of a little piggy. The banshee cop returned, said everything was alright, and went back into his car that was still on fire and drove away. The other cop asked me if I was a Yankee or Red Sox fan. I told him I like New York, hoping it was the right answer, and he proceeded to tell me how the game was going, as if I had actually cared to begin with. I don’t think he cared about my response either way, as he turned and walked back to his car, exclaiming that he was missing the game. As he drove away, everyone else left too. The helicopters flew away, fire trucks drove off, news crews went to the studio and the curiously frightened neighbors in their pajamas and robes went back in their houses. The sun came back out. The birds started chirping. Small children that I don’t think even live in my neighborhood ran to the ice cream truck that materialized out of some bushes next door. Life had resumed. Kids, the moral of the story is this: keep your keypads and keyboards clean.